1.) Preperation is key! 24 hours before you start fake tanning, you should exfoliate with a granulated body scrub, paying particular attention to dry areas such as knees, elbows and ankles. I use Soap & Glory, The Scrub of your Life, every other day, so I don’t have to switch up my routine too much before tanning. It is gentle enough for frequent use, and has lots of exfoliating beads for a good scrub. It creates a lovely lather in the shower too – a perfect pampering treat. You should also wax 24 hours before tanning, or shave the day before. I love this Wilkinson Sword Intuition Plus Hydra Soft Razor (long enough name?!) which lathers, shaves and moisturises in one. It has a pivoting head which closely follows body contours, for a super close shave. 2.) Use a gentle exfoliator on the face – it is just so important to gently scrub skin before you start tanning, to lift dead skin cells and reveal revitalised, ready to tan skin beneath. 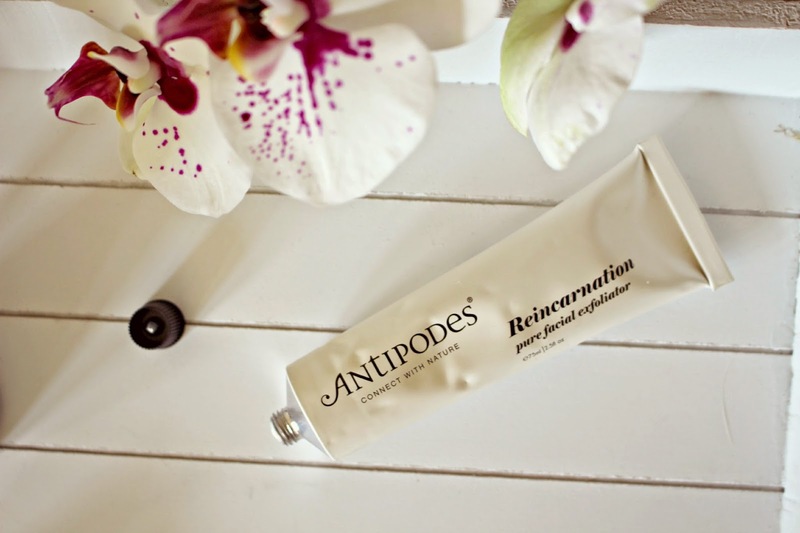 I recommend the Antipodes Reincarnation pure facial exfoliator, which keeps my skin glowing with the tiny Jojoba beads, and soothing healing oils such as calendula and carrot oil. It’s a creamy scrub which is gentle enough for super sensitive skin, and a pea-sized amount of product is enough to give a smooth glowing complexion. 3.) 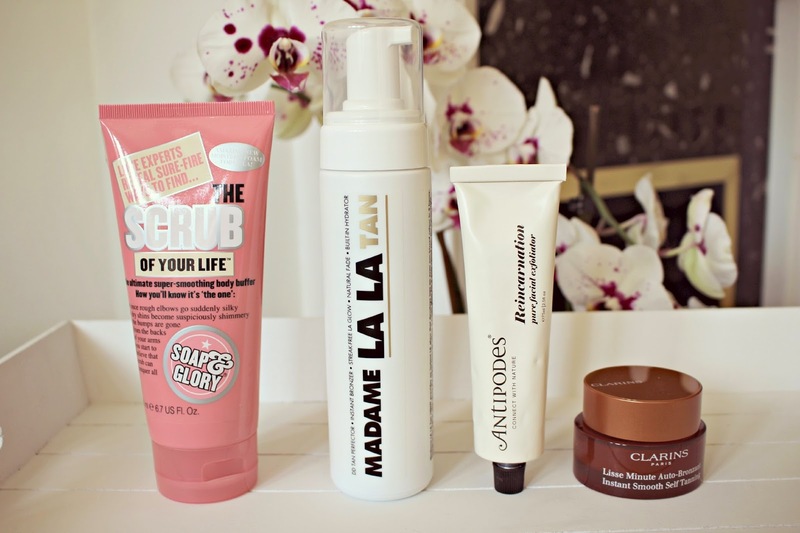 Keep the face lighter! Your face will always naturally be a few shades lighter than your body, so it is better to use a tan specifically formulated for the face. Open pores and blemishes can be enhanced with a dark tan, so a gradual tan can help you to control the level of tan on the face. 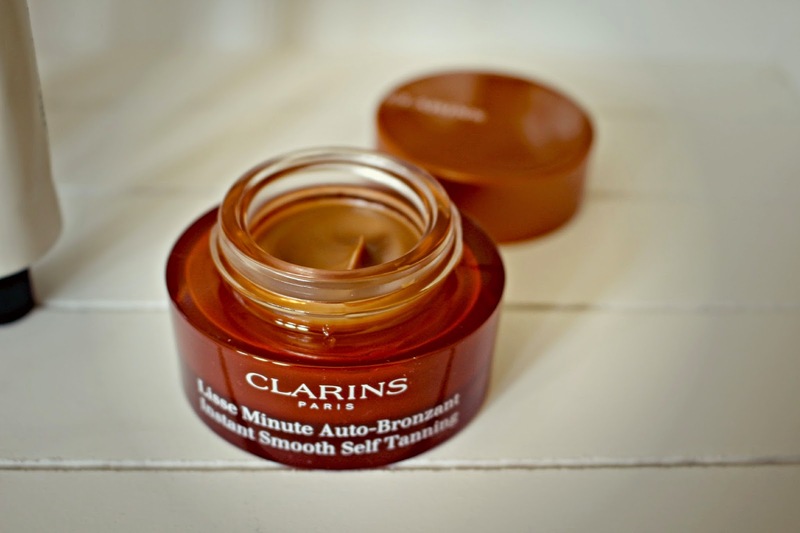 The Clarins Instant Smooth Self Tanning cream is a smooth, easy to apply lotion, which smooths pores and can be used to gradually build a glowing tan. I use this every day until I have built a radiant glow. 4.) Use a Tanning Mitt – a mitt is essential for even coverage. 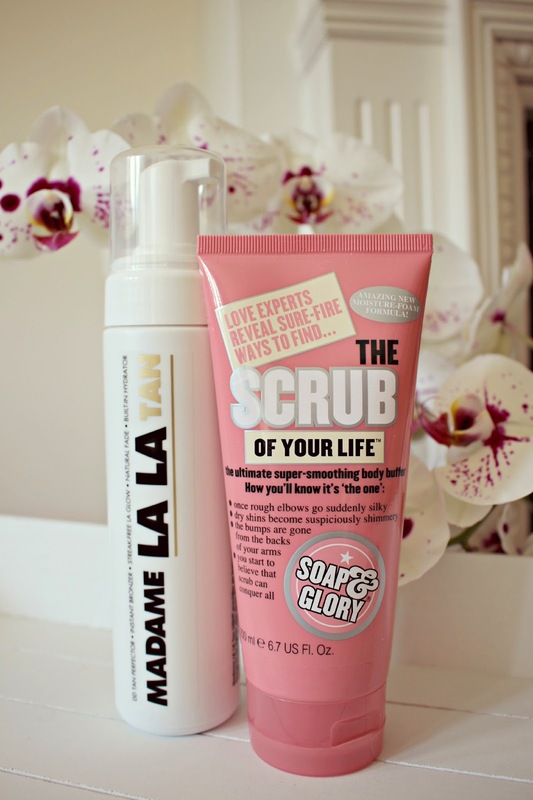 When using a mousse like the Madame La La tan, apply the mousse directly to the mitt before smoothing over your limbs. 5.) Apply the product in stages – start with your lower legs and work your way up, finishing with your arms and chest. You can apply most tans over a period of several days to build up a stronger colour, and the Madame La La tan is perfect for building up an intense colour. It’s a pretty fool proof tan in that the colour comes out straight away and can be used as a guide colour to ensure you don’t miss anywhere! I find that with proper aftercare, the tan lasts well over a week. 6.) Look after your tan – Aftercare is as important as preparation – moisturise daily after tanning, and use a very gentle exfoliator (Scrub of your Life is perfect) every 3-4 days to ensure the tan fades evenly. 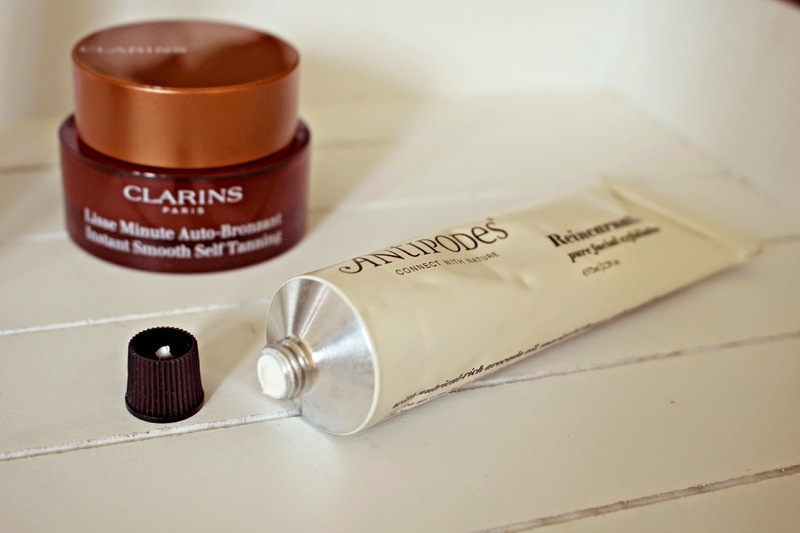 For a subtle tan top up, you can add a tablespoon of tanning product to your moisturiser.